An agreement by Bangladesh and Burma to begin returning Rohingya refugees to Burma by January 23, 2018, creates an impossible timetable for safe and voluntary returns and should be shelved, Human Rights Watch has said in a letter to the two governments. International donors, who would be needed to fund the massive repatriation effort, should insist that Burma and Bangladesh invite the United Nations High Commissioner for Refugees (UNHCR) to join in drafting a new tripartite agreement that ensures adherence to international standards. Since late August 2017, more than 645,000 ethnic Rohingya have fled a campaign of ethnic cleansing by Burma’s security forces and sought asylum in Bangladesh. Human Rights Watch has interviewed more than 200 of the refugees. Many said that they wish to eventually return home, but that they do not believe it is safe to return to Burma for the foreseeable future and until their security, land, and livelihoods can be ensured. Voluntary repatriation in safety and dignity as required by international law will not be feasible until the Burmese government demonstrates its willingness and ability to ensure full respect for returnees’ human rights, equal access to nationality, and security, Human Rights Watch said. 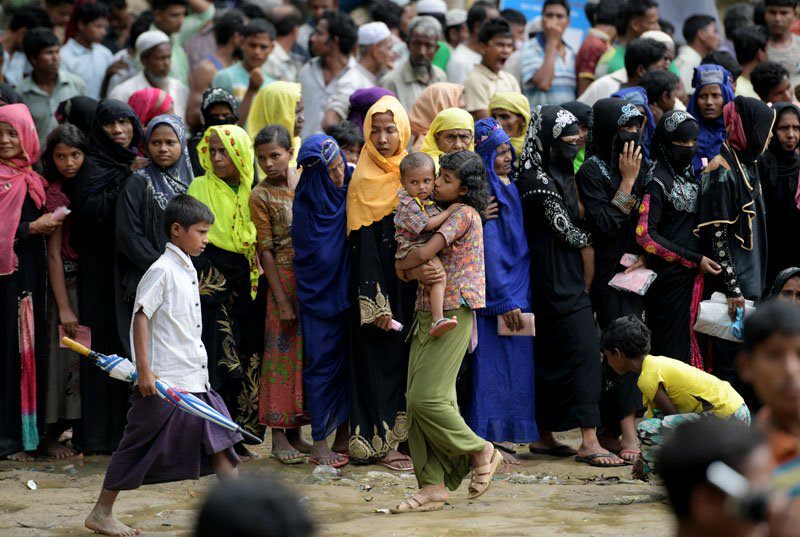 The agreement expresses Burma’s commitment to “take necessary measures to halt the outflow of Myanmar residents to Bangladesh” – which raises grave concerns since everyone has a right to flee persecution in their own country. The agreement also makes no direct reference to nonrefoulement, the principle of international refugee law that prohibits the forcible return of refugees to places where their lives or freedom would be threatened. And the agreement restricts returnees’ freedom of movement to Rakhine State in “conformity with existing laws and regulations,” many of which discriminate against the Rohingya. Several Burmese officials have spoken about putting Rohingya in “camps.” This would be an unacceptable approach to their return as camps set up after previous anti-Rohingya violence have led to de facto detention and segregation. “With the active participation of UNHCR, Burma and Bangladesh should go back to the drawing board with a commitment to consult fully with both refugees and affected communities to reach an agreement that will genuinely allow the refugees’ safe, dignified, and sustainable return,” Frelick said.